Israel's acting foreign minister said it rejected the findings outright. "The Human Rights Council's Theatre of the Absurd has once again produced a report that is hostile, mendacious and biased against Israel," Israel Katz said. "No-one can deny Israel the right to self-defence and the obligation to protect its citizens and its borders against violent attacks." Palestinians have been taking part in protests along the border since last March as part of a campaign, dubbed "the Great March of Return", in support of the declared right of Palestinian refugees to return to their ancestral homes in what is now Israel. Israeli forces also injured 6,106 Palestinians with live ammunition during the same period, according to the commission's data analysis. Another 3,098 were injured by bullet fragmentation, rubber-coated metal bullets or by tear-gas canisters. 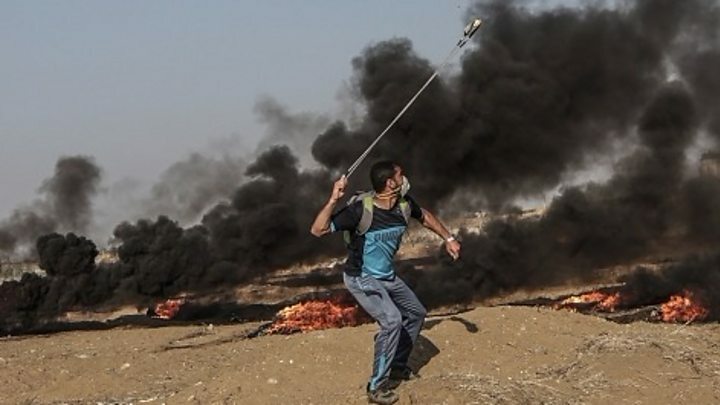 The commission said it "found reasonable grounds to believe that individual members of the Israeli security forces, in the course of their response to the demonstrations, killed and injured civilians who were neither directly participating in hostilities nor posing an imminent threat". "These serious human rights and humanitarian law violations may constitute war crimes or crimes against humanity," it added. Sara Hossain, a Bangladeshi lawyer and a member of the commission, said: "We are saying that they have intentionally shot children. They have intentionally shot people with disabilities. They have intentionally shot journalists. "A double amputee in a wheelchair, a person using crutches... they have been shot at by snipers, who also have spotters available with them who have very high-level technology to see who is out there in the field." 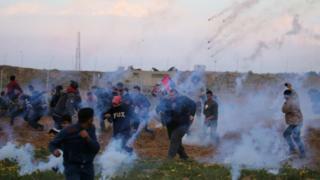 The commission said it took note of the Israel's assertion that the protests masked "terror activities" by Palestinian armed groups, and also that some demonstrators were members of armed groups. However, it concluded the demonstrations were "civilian in nature", with clearly stated political aims, and that despite some acts of significant violence they did not constitute combat or military campaigns. "The onus is now on Israel to investigate every protest-related killing and injury, promptly, impartially and independently in accordance with international standards, to determine whether war crimes or crimes against humanity were committed, with a view to holding accountable those found responsible", said Santiago Canton, the Argentine chairman of the commission. 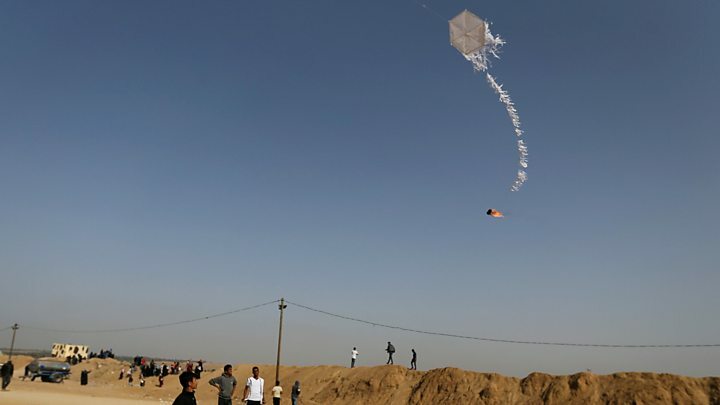 "We also urge the organisers, the demonstrators, and the de facto authorities in Gaza, to ensure that the Great March of Return is entirely peaceful, as it is intended to be," he added. Palestinian Authority President Mahmoud Abbas said the findings proved "what we have always said - that Israel is committing war crimes against our people". He urged the International Criminal Court at The Hague to "move immediately" and open a full investigation.